Jonny Lee Miller is the English actor living in the US. His resume includes numerous films and TV series, including Hackers and Trainspotting, just to name a couple. Since 2012 he has been a lead character in Elementary on CBS, portraying a modern-day Sherlock Holmes. Last year Miller made headlines in Muay Thai circuits. The 46-year-old actor debuted inside the ring in May, after completing a five-week training camp, wrote Lilian Dikmans in a feature story. The latter is the Australian model who simultaneously competes in Muay Thai. Although not aspiring a career of World Champion, “the Art of Eight Limbs is a discipline that can be respectfully practiced to build physical fitness and mental strength. British born actor, Jonny Lee Miller, would seem to agree,” wrote Dikmans. Fighting out of Evolution Muay Thai under the patronage of Brandon Levi, Jonny Lee Miller is back in the ring on February 1 (Feb. 2 AEDT). 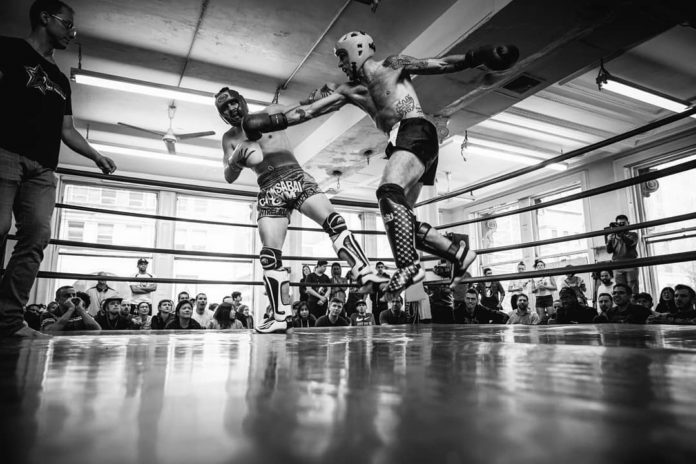 Going through the ropes at Broad Street Ballroom in New York City he takes on 41-year-old Robert Bermudez (0-1) in a feature bout at the event billed as “Friday Night Fights”. “Might get my arse kicked, might not. If I can do it, you can do it,” actor turned Muay Thai fighter captioned the poster on Instagram. The release date of Elementary Season 7 is yet to be announced. Nevertheless, the production of 13 new episodes has been reportedly completed. Jonny Lee Miller is expected to be back on TV screen this year. “7 seasons. 154 episodes. So proud to have been a part of this family. Thank you. #elementary,” Miller captioned the photo mid last month, which shows him together with co-star Lucy Liu, who portrays Joan Watson.